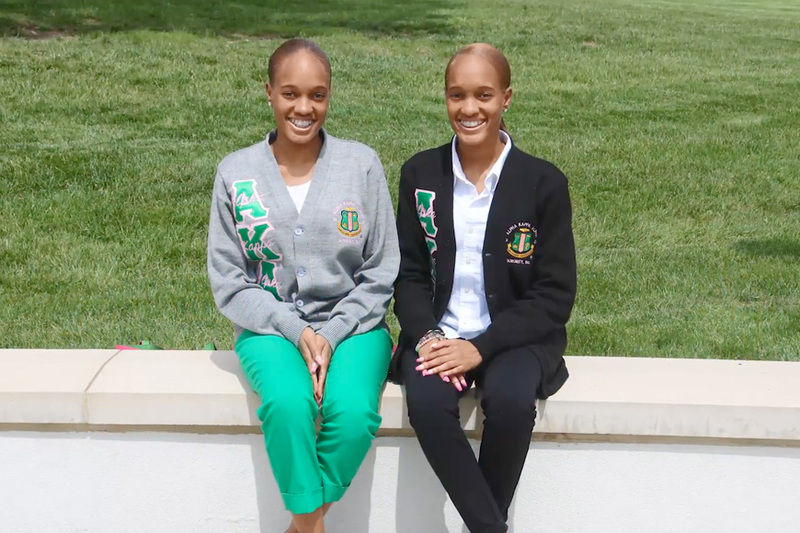 They majored in psychology and minored in sociology; got inducted into the Psi Chi International Honors Society; joined Sisters of Service and were initiated in the Zeta Xi Chapter of Alpha Kappa Alpha Sorority, Inc. That they did so much together isn’t surprising given Cierra and Imani are twins. 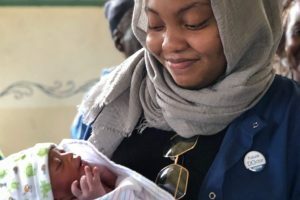 It was common to see “the twins” together on campus, and one of their favorite hangout spots was the patio area in the back of the Global Learning Center. 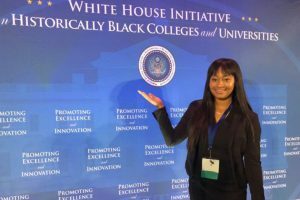 From Washington, D.C. and the parents of Yolanda Carey and Michael Graham, the women said they initially heard about Bennett from an alumna who is a close family friend. It’s fair to say the women reached their potential and then some. Membership in the Psi Chi International Honor Society means they maintained a minimum GPA of 3.0. They also held offices in Sisters of Service – with Cierra as the club’s secretary and Imani as its publicist. 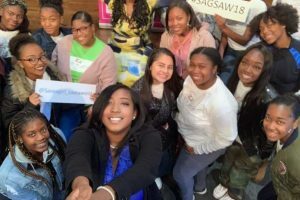 In addition, they tried to help recruit for Bennett by serving on a panel in their hometown and sharing their Bennett experience with others. They say among their fondest Bennett memories was going to Charleston, S.C., because they’d never been to the Palmetto state. Now that they’ve graduated, they plan to intern at a law firm this summer and enter graduate school in the fall. Imani wants to practice criminal law; Cierra wants to practice family law. 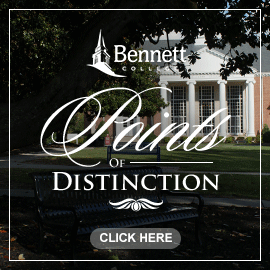 The women say they will miss Bennett College.